Just posted a Treasury with Etsy today. I'm not sure where the bright tealy blue came from... but it's soooo pretty! And what pretty finds... if i do say so myself! 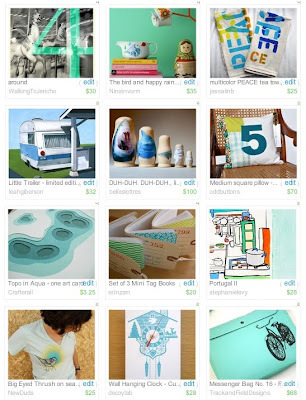 Click Here to see the treasury with links to products. October 29, 2009 by Hey There!